The idea of a Chinese smartphone or tablet company borrowing heavily from Apple’s designs is not exactly something new. Xiaomi in particular has a long history of releasing hardware that borrows heavily from the iPhone and iPad as far as industrial design is concerned with the Mi Pad range and the Mi range of smartphones looking eerily familiar. 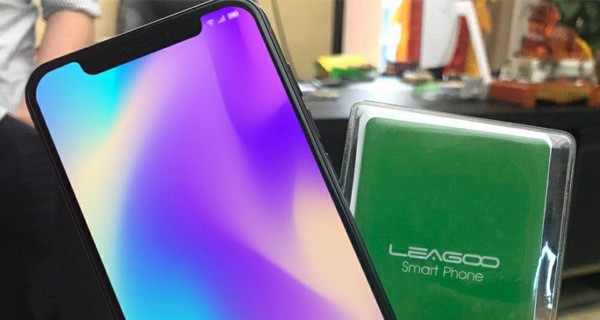 Now another Chinese manufacturer is trying the same approach, with the lesser known Leagoo seeing its upcoming S9 phone leaked online. Photos show something that will be instantly familiar to anyone who has been keeping up to date with smartphone launches over the past few months. A quick glance at the images shows a smartphone with a telltale notch at the top of the screen with rounded corners on each angle of the display. At first blush, this could very easily be an iPhone X but of course, it’s not – the chin (bezel) at the bottom gives it away as well. 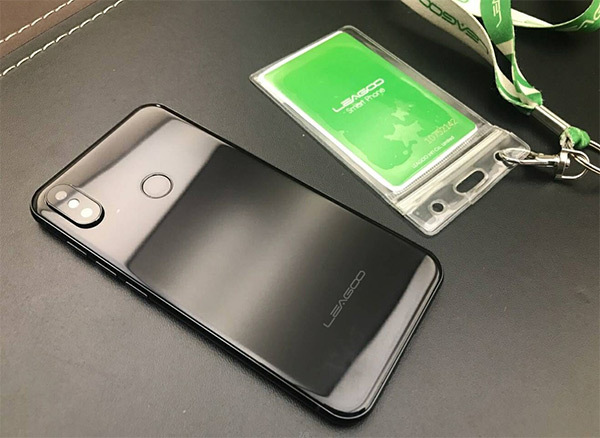 This, we are told, is the Leagoo S9. The similarities continue around the back of the device, too. The same vertical two camera configuration is easy to spot although the inclusion of a rear-mounted fingerprint sensor does at least give a hint that this is not an Apple device. There is, of course, no Apple logo either. These kinds of Apple-like smartphones and tablets do tend to do well in their native China, especially with their often cut-price cost of entry. 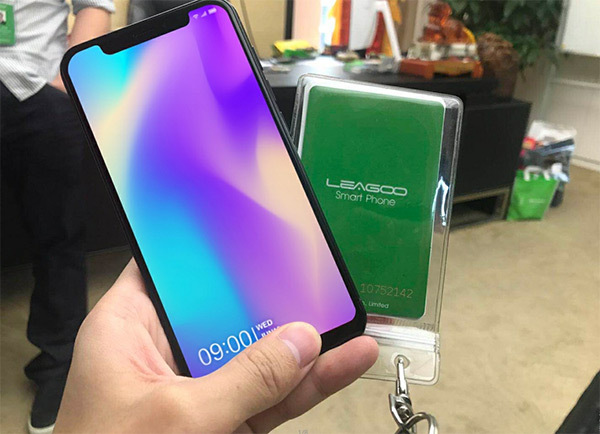 This Leagoo S9 is expected to cost under $300. When Apple is charging upwards of $999 for an iPhone X, it is not hard to see why cheaper clones would become popular among buyers – especially those who can not or will not spend so much on a phone. Nice phone. Wonder what the specs are. I bet it has less bugs than iOS 11. Look! TouchID. Apple could have done the same. Except when paying. Clicking that side button is not what you expect from Apple. the S9 features a MediaTek P40 processor (a competitor for Qualcomm’s midrange Snapdragon 670 chip), 6GB RAM, and 128GB of storage. The display is a 5.85-inch AMOLED panel, and the cameras are a pair of 16MP sensors. To each their own. I think paying with touch id is more Apple like. Sounds to me like you’re nothing but another cry baby who really reaaaaally wants an iPhone X but can’t afford it. I can’t either by the way but at least I hold on to my dignity. Why aren’t you? Many different…system clon android that eat ram…ios x very smooth system. The OLED screen alone is worth $80. If it is a true 2160 OLED. I don’t really use my phone for much, other than calling, but if this was around $250 I would buy for using as VR headset. Dp, sounds like you’re just another internet troll who has nothing better to do than make assumptions, even though valid points are made. If anyone couldn’t hold their dignity, it was Apple when they decided to include the notch as a “feature”…and you when you decided to reply with the assumption that I somehow want the precise device that I’m criticizing for it’s deal-breaking compromise. OK, I’ll stop feeding the troll now. Probably won’t see this and respond anyways, since I’m 6 months late to the party, haha. Lol, riiight. Another feature that they just force on the user, without giving them the option to at least make the status bar blend in with the partial top bezel we call a notch. Forgive the delayed response, btw. Just logged back into Disqus.